We provide caring and skilled counsel relying on psychological therapeutic approaches, as well as on the wisdom and guidance for all of life's situations. There are things inside all of us that we struggle with. Things we want to forget. Avoid. Ignore. Wishing we could just close our eyes and never remember again. There is also a truth inside of you that needs to be awakened. The truth that you are not alone. That you have an identity and purpose in this world. That there is hope. Regardless of the circumstances, trauma, or challenge you have faced or might be facing currently, the counselors at Awakenings Counseling Center are the source of guidance and encouragement you need to help you uncover your identity and purpose. At Awakenings Counseling Center we provide counseling that is accepting and relevant to people from any faith background. 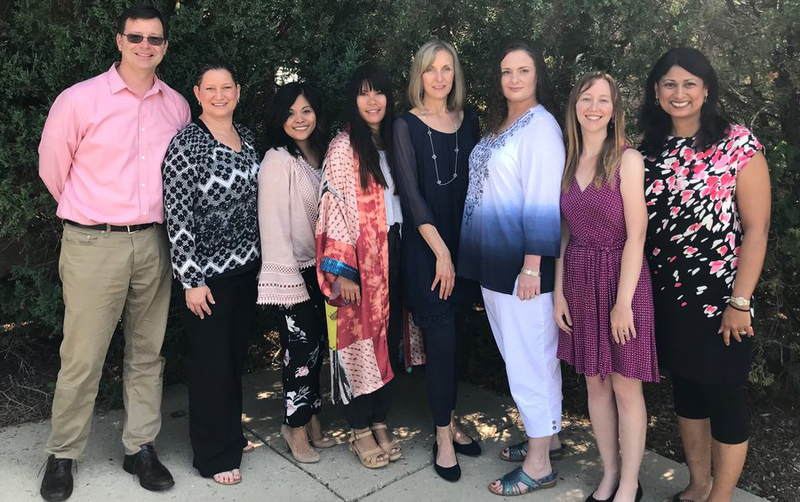 With locations in Algonquin and Schaumburg, our diverse team of therapists provides expertise on a wide array of issues. As Owner and Clinical Director since 2006, Shoji has developed Awakenings Counseling Center to be a reputable multi-site practice. Shoji’s life is a witness to how God uses adversity to build character and offers a life of freedom and abundance. 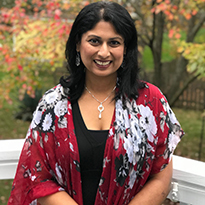 She holds a holistic vision for her clients addressing the mind, body and spirit through an authentic therapeutic relationship. She holds the Advanced Counselor Certificate in Trauma and Abuse Counseling, trained under Dr. Dan Allender and is a part of Willow Creek Community Church's Counseling Referral Network. Deirdré was born and raised in South-Africa. In 2003 Deirdré and her husband Paul, moved to Chicago to accept staff positions at Willow Creek Community Church where she served in the Pastoral Response Department from 2009-2016. She is passionate about being present with people in ways that increase their awareness of God’s presence, His love and redeeming work in them. She has navigated her own seasons of heartache and loss by clinging to the tender love and irrevocable care of a God who stays faithful and steadfast when all else is shaken. Michelle Lenz has over 15 years experience working with youth and women in counseling, educational, and conference settings, both here in the States and overseas. She provides individual, couples and group counseling. She is a former H.S. Health, Physical Science, and Biology teacher and also offers therapeutic tutoring services and study skills. She loves to help youth discover their potential, value, and gifts. She is certified in Anger Management and in Prepare and Enrich for pre-married couples. She has also been trained in Emotionally Focused Couples Therapy and provides couples counseling. Michelle earned her B.S. in Pre-Med Biology at the University of Illinois at Urbana-Champaign and her M.A. in Mental Health Counseling at Trinity International University. She is a Licensed Professional Counselor in the State of Illinois. Some her areas of specialty include: anxiety, depression, addictions, healing from past trauma, women’s issues, healing prayer and couples counseling. Prepare and Enrich Pre-Marriage assessment. Michelle Reynolds, LCPC. Michelle is a Licensed Clinical Professional Counselor. She graduated from Carroll College in Wisconsin with a Bachelor’s degree in Psychology. She attended graduate school at the Illinois Institute of Technology and received a Master’s degree in Rehabilitation Counseling with a specialty focus on psychiatric rehabilitation. Michelle has over ten years of experience working in community mental health settings and has provided group and individual therapy, vocational development, and psychosocial rehabilitation in English and Spanish. Michelle is passionate about working with individuals on illness education, symptom management, cognitive restructuring, affect regulation, behavior modification, and interpersonal skill development. Her interests and specialties include working with persons who have anxiety, depression, post-traumatic stress, personality disorders and severe mental illness. She is trained in Dialectic Behavioral Therapy and trauma resolution through Eye Movement Desensitization and Reprocessing (EMDR) Therapy. Sally graduated with a B.A. in Psychology from Judson University and an M.S. in Clinical Mental Health Counseling from National Louis University. She has worked as a counselor in several church and Christian settings, including Life Care Counseling at the Evangelical Free Church in Crystal Lake and TLC Pregnancy Services in Elgin. Sally is passionate about helping others navigate difficult times in their lives, and especially loves working with teens and young adults. Life Transitions and Adjustment Issues. Melody Knapp is a licensed professional counselor who holds a BA from Moody Bible Institute and a MA from Trinity Evangelical Divinity School. She embraces a comprehensive therapeutic approach to address what is preventing an individual from experiencing hope and fulfillment and loves to walk alongside individuals through their journey to wholeness and healing. She personally benefited from therapy resulting in a strong belief that therapy does help which is also supported by research. She and her husband enjoy being around nature and serving in ministry. Pamela is a licensed professional counselor who believes her professional purpose is to guide individuals and couples toward healing, recovery and growth. She provides an authentic, compassionate, and collaborative approach in a safe therapeutic setting. Her holistic and integrative method guides clients and couples in growing toward their full capacity. She enjoys art and includes the use of art therapy when applicable to help her clients in self discovery, and in the resolution of difficult or traumatic experiences. In working with children and adolescents, the use of art therapy is especially helpful in providing a way towards improved concentration, communication, mood, behavior, and relationships. Pamela is also especially trained and skilled at working with partners with addicted loved ones, particularly those with sexual addiction, and is in the CSAT certification process. She keenly understands the challenges faced by partners of sexually addicted loved ones. Pamela completed her Bachelor’s Degree in Business from Valparaiso University and her Masters of Art in Counseling: Art Therapy from the Adler School of Professional Psychology. 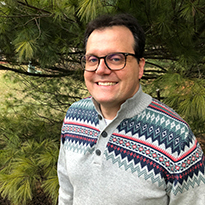 Nick is a licensed professional counselor who received his Masters in Science in Clinical Mental Health Counseling from National Louis University. Nick is experienced in working collaboratively with children, individuals, couples, and families to compassionately help them in reaching emotional, relational, and mental health goals. Nick’s desire for us is to experience fullness and wants to bring hope, healing, and support into the lives of clients. Ryan is working as the Business Director at Awakenings. With a Bachelor’s in Information Systems and experience in Business, Ryan supports the practice from an operations perspective. He has a Masters in Divinity from Trinity Evangelical Divinity School and 13 years experience on the pastoral staff at Willow Community Church. His leadership, theological and relational gifts allow him to build into the holistic vision of Awakenings. Together Ryan and Shoji have developed workshops such as: “Living Authentically – Exploring the Johari Window”, “Boundaries”, “Generational ties and the Genogram”, “The Marriage Puzzle,” “Conflict and Your Culture” and “Fighting a Good Fight – Discover Your Conflict Style”. Ryan and Shoji have taught classes at Willow Creek as well as globally in the Middle East and India. There is no doubt that Ryan loves celebrating the unique aspects of diverse cultures and the adventurous aspects of being married cross-culturally to Shoji.